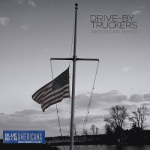 New music from the Drive-By Truckers, The T Sisters, Cris Jacobs, Dave Keller, and some new tribute tracks featuring the music of Charlie Rich and Jerry Garcia are the highlights this coming Thursday morning. The vintage slice of Americana heaven will include the sounds of Don Gibson, Elvis, and Willie Nelson. Drop on by!